Custom Icy Bright Logo 24-Pack Cooler is made from 70-Denier nylon. 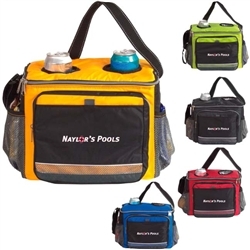 Customizable 24-Pack Cooler comes with insulated 2 drink pockets. Custom Icy Bright Logo 24-Pack Cooler is available in 5 colors: Apple Green, Charcoal, Goldenrod, Red, and Royal.